A satellite is a moon, planet or machine that orbits a planet or star. Usually, the word "SATELLITE" refers to a machine that is launched into space and moves around Earth or another body in space. Nowadays we are all see our earth very easily as it is through internet. Satellite is one and only thing help to us see the image. Another one is people to go any where correctly if they are not know that place through maps. That is also possible only the satellite functions. 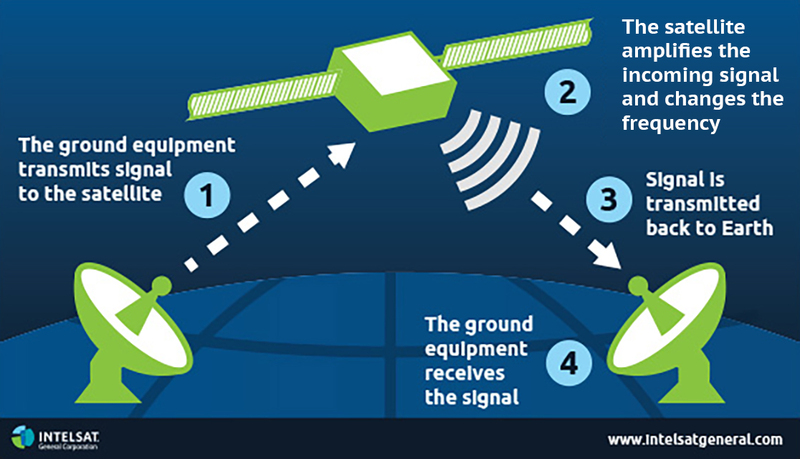 Satellite can collect more data, more quickly, than instruments on the ground. Satellite also help to see into space better than telescopes at Earth's surface. With satellite, TV signals and phone calls are sent upward to a satellite. Then almost instantly, the satellite can send them back down to different locations on Earth. Satellites are used mainly for communications, such as beaming TV signals and phone calls around the world. A group of more than 20 satellites make up the Global Positioning System (GPS). If you have a GPS receiver, these satellites can help figure out your exact location. There are wide variety of materials used for made a satellite. Satellites are usually made to be extremely light weight, and use materials such as titanium and aluminum. Additionally, use composites and alloys, such as nickel-cadmium or aluminum-beryllium. Many satellites are placed into geostationary orbit, and one common method of achieving this is based on the Hohmann transfer principle. This is the method use when the shuttle launches satellites into orbit. Using this system the satellite is placed into a low earth orbit with an altitude of around 180 miles. 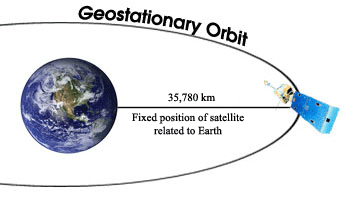 Once in the correct position in this orbit rockets are fired to put the satellite into an elliptical orbit. Alternatively, when launch vehicles like Ariane are used the satellite is launched directly into the elliptical transfer orbit. Again when the satellite is at the required altitude the rockets are fired to transfer it into the required orbit with the correct velocity.